Qatar Postal Services Company (Qatar Post) has signed a Memorandum of Understanding (MoU) with Qatar Railways Company (Qatar Rail) for a variety of postal services. Qatar University College of Engineering (QU-CENG) signed a memorandum of understanding (MoU) and two agreements with Qatar Rail to establish collaboration in the field of research, consultancy and exchange of information. 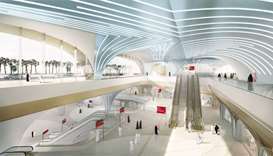 Qatar Rail has announced that it has opened registration to occupy commercial spaces available at Doha Metro stations. 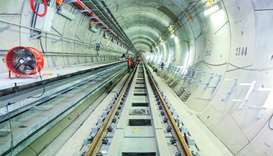 Qatar Rail Metro is one of the five finalists for the ITA Tunnelling Awards 2017, an international competition for tunnelling and underground spaces projects exceeding 500mn euros. 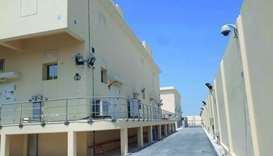 The Qatar General Electricity and Water Corporation (Kahramaa) has announced that it has achieved a vital landmark with the completion of the first electricity substation for Qatar Rail Company (Qatar Rail) in Ras Abu Fontas. Qatar Rail has hosted the second annual Qatar Rail Theatre Festival, a three-day event that featured productions acted out by local students based on their perceptions of the railway project. Qatar Rail held a unique cycling event in one of the tunnels of Doha Metro recently. The cyclists participating in the event, organised in collaboration with the Qatar Cycling Community, took a route that covered around 10km of a single-track tunnel. 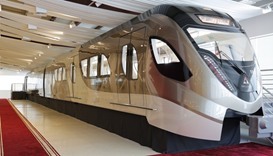 Able to reach 100km/hour, the Doha Metro will be one of the fastest driverless trains in the world and the fastest in the region, Qatar Rail announced. 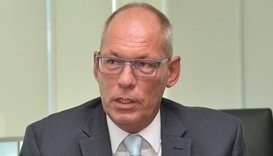 "World class technology to make Qatar rail safe, reliable"
Qatar’s flagship railway project is equipped with world-class technology and tailor-made transport solutions that enables Qatar Rail to operate high standard systems that are safe, reliable, and cost-efficient, an official of a German firm has said.